Washington DC, with its population of over six million, has well earned its reputation as one of the most striking cities on the globe. From its many iconic monuments to the history of the United States, to its glamorous shopping districts and its lovingly preserved stretches of natural beauty, Washington DC represents an experience of distinctly American wonder. Cheap flights to Washington DC are now available; seize the opportunity to explore this icon of America right now! 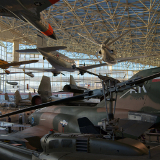 Ronald Reagan Washington National Airport (DCA) is a 20-minute drive from the city centre of Washington DC. 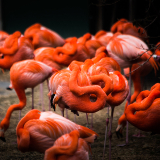 Washington’s far from restricted to the indoors; the Botanic Garden and Zoological Park are a few of the wonders of Washington that can be taken in under the open sky. 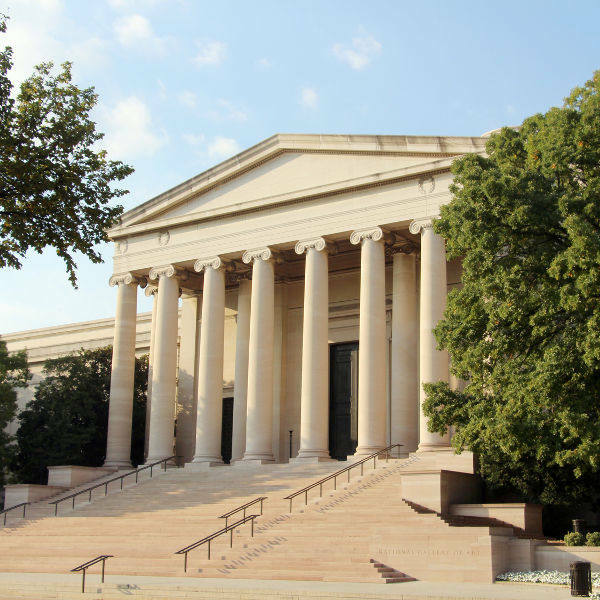 From the National Gallery of Art, to the Space and Air Museum, to the Natural History Museum, Washington DC’s museums celebrate the historical and cultural diversity of the United States. 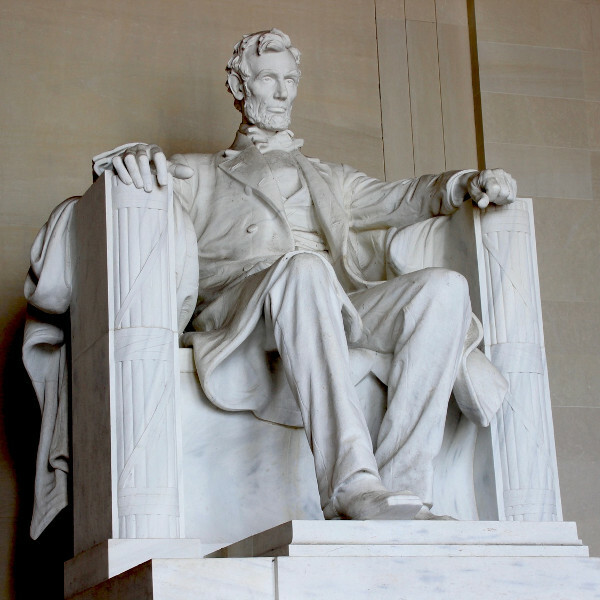 From the Lincoln Memorial, to the White House, to the Capitol Building, Washington DC is replete with beautiful monuments that have, for years, served as icons of the American nation. 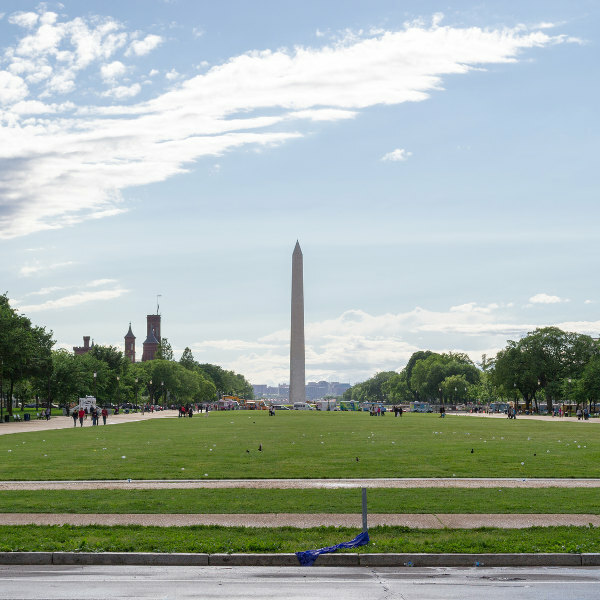 June to August, generally speaking, has proven the most popular among visitors to Washington DC. However, the city’s summer temperatures can reach heights of 31°C; and those put off by severe heat and humidity (Washington was, after all, first built on a swamp), as well as particularly heavy crowds, may prefer to come by around early August or late September, when the bustle of tourism has slightly fallen off, and the kids are at school. The fall season that follows this period is also comparatively quiet in terms of tourism, though it does see a significant influx of business travellers; but visiting around this time will also grant you the opportunity to see the leaves turning. Of course, there’s also December to February, Washington’s lowest season; however, keep in mind that Washington winters can be pretty bitter, and you might want to avoid the city around this time unless you’ve the constitution for temperatures that can drop as low as -2°C. Washington DC is a monument to the history of the United States, and an icon of its multifaceted cultural heritage. Home to the White House, the Capitol Building, the Lincoln Monument, and other icons of America, as well as a series of world-famous museums dedicated to almost every arm of natural and historical wonder, Washington DC represents the prime American historical and cultural experience. And for those looking for other distractions, the city’s expansive shopping districts, varied eateries, and stretches of lovingly preserved greenery present travellers with a chance to really, truly get away and spoil themselves. 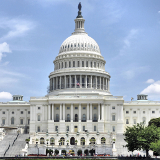 Compare several airlines and book your cheap flights to Washington DC online at Travelstart! For all Washington DC’s gloss and beauty, it, like many of America’s major cities, does boast its share of criminal activity, which has increased notably in recent years. As is the case almost anywhere, visitors should, particularly in crowded areas, be wary of pickpockets and bag snatchers – particularly in the Metro, which is not always very well lit. Walking the streets at night likewise presents chances of encountering unsavoury individuals, and should only be done in groups, or in well-lit areas. In addition, visitors should be conscious of this bustling city’s heavy traffic, and endeavour to be responsible and aware pedestrians. Precisely where one should stay depends heavily on just what experience one is looking. Needless to say, Washington DC being such an international hub of tourism, its establishments, while often pricey, are plentiful. Whether you’d prefer to stay within a convenient distance of the city’s historical monuments, its transport hubs, or its sprawling greenery, there’s a reputable establishment that suits your needs. The Four Seasons Hotel, the Hay-Adams, and the Jefferson rank among some of the city’s most popular hotels. Of course, do be sure to choose a well-regarded neighbourhood. Areas near tourist hotspots are generally of decent repute; but don’t be tempted to take a room in a less savoury sort of area just to save a few bucks. In terms of budget, hotel fares tend to hang between $100.00 and $175.00, depending on precisely what level of luxury you’re seeking. As a city with one of the highest percentages of public transit commuters in all of the United States, it goes without saying that Washington DC presents numerous options to anyone who wishes to get around. Metrobus and Metrorail, in particular, as well as the DC Circulator bus service, criss-cross hundreds of routes across DC, offering travellers commuting options wherever they may be. And, of course, if you’d prefer to make your own particular route, there’s numerous car rental services available; and as for taxis, well, this city has one of the highest taxi-to-citizen ratios in all the country. Many tourists agree, though, that the best way to take in the bustling beauty of this city, and discover its more hidden wonders, is to explore its nooks and crannies by foot, or on a hired bike.